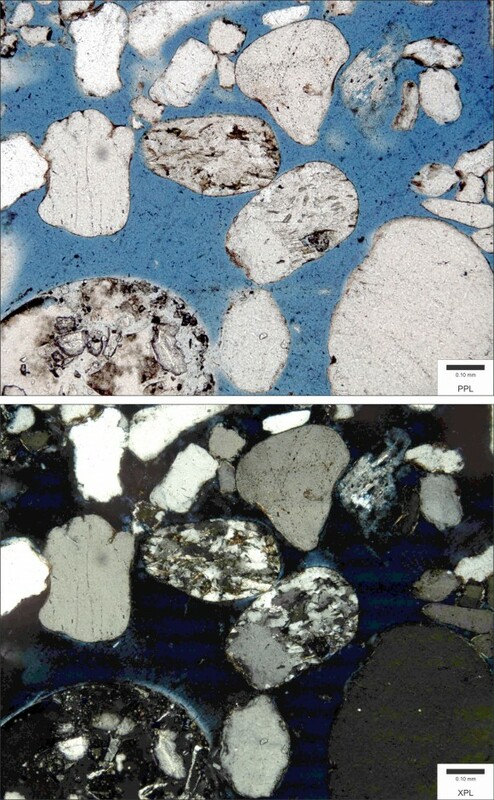 Petrologists spend a large part of their time peering down microscopes at wafer thin slices of rock to work out what they’re made of and how they were formed. What lies on the other side of the lens can be an incredibly beautiful pattern, a kaleidoscope of colour, or stark bands of black and white, all of which provide clues to the rock’s history, and the history of the landscape it came from. 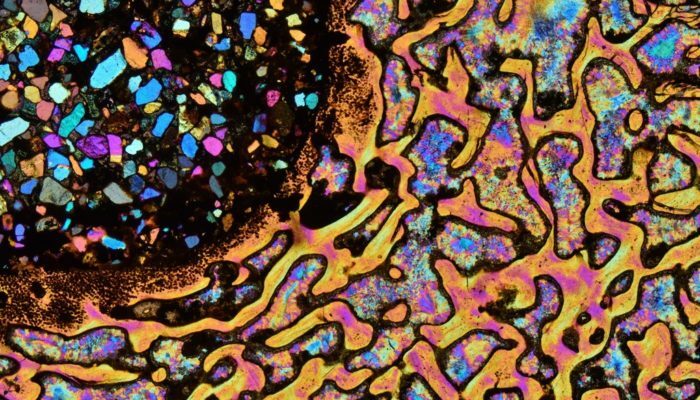 Bernardo Cesare, enthusiastic photographer and professor of petrology at the University of Padova, Italy, has captured some fantastic images of these slender rock sections, including the incredible image of ocean jasper, below. 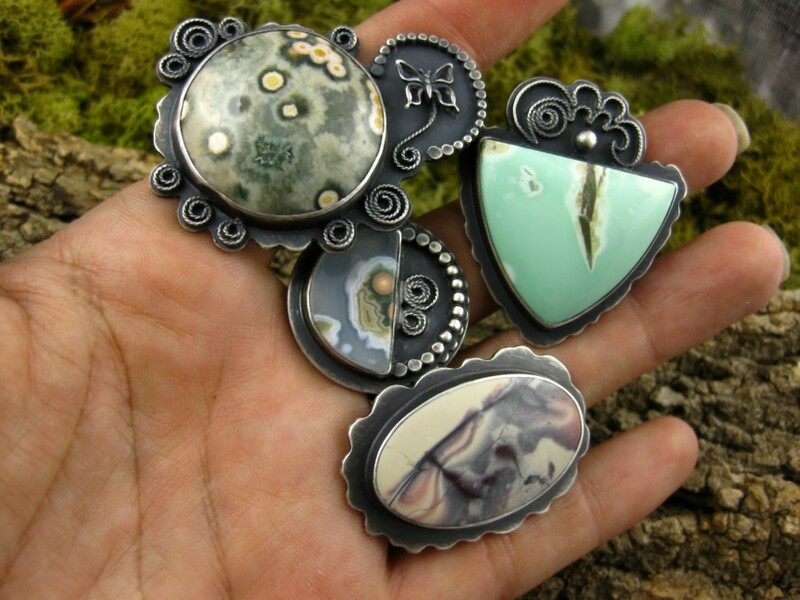 Ocean jasper is made up of many minute orbs, just a few millimetres in diameter, known as spherulites. They form when silica-rich volcanic rocks change from being glassy to crystalline, and are saturated with silica in the process. This crystallisation occurs in arrays of thousands of fibrous, needle-like crystals. “They can grow as perfect spheres, but where they’re too close to one another the growing spherulites impinge on each other,” Cesare explains. This close clustering causes the spherulites to have sharp boundaries where they meet, something clearly seen in Cesare’s snap of the crystal structure. Even though almost everything in the image (the exception being the small black dots, which are opaque minerals) is made of quartz, a rainbow of colours can be seen. These rainbows are known as interference colours, and they appear when polarized light passes through a crystal. So what creates this rainbow? There are even ways to test out this tool at home: “even without a slice of rock, readers can test how interference colours emerge using two “crossed” polarizing filters (for example two orthogonal lenses of some sunglasses) and placing a stretched piece of plastic bag between them,” says Cesare. 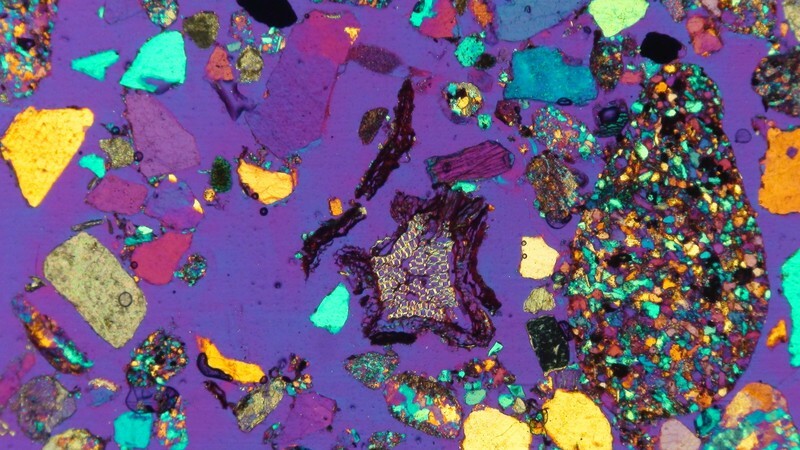 “Polarized light is one of the fundamental tools of a geologist: with a polarizing microscope and a thin section we can recognize different minerals without the aid of more sophisticated and expensive analyses. Looking at colours and at their changes, at the shapes and contours of mineral grains, at their sizes and mutual relationships, not only can we understand which minerals a rock contains, but also in which sequence they formed, if some deformation occurred during or after their crystallisation, if they were transformed into other minerals and, qualitatively, at which pressure and temperature conditions the rock originated or evolved.” All these observations form the basis for more detailed research, such as, working out how many millions (or billions) of years ago the rock formed. You can find out more about ocean jasper and Cesare’s photographic style over at National Geographic and on Geology In Art. You can also find more of his photography over at www.microckscopica.org. Great geoscience photographs aren’t always shots of beautiful landscapes. Sometimes there are stunning things to see at a much smaller scale. This week’s Imaggeo on Mondays showcases one such curiosity and highlights how research images can reveal a lot about the natural world when exhibited as a form of art. Thin sections are a fantastic way of finding out more about rocks, soils and tissue structure. At 30 micrometres thick they are the most refined Carpaccio you could find on a geoscientist’s plate, and illuminating them under a microscope only makes the sections more splendid. Under plane polarised light, you spot the fine details that make up each slice, the crystal grains, pore spaces and shell fragments that, together, make up your rock sample. And in cross polarised light there’s even more to be seen. Crystals, at first barely perceptible, shine out amid dark masses and appear as an array of bright and beautiful colours. Different properties like the refractive index and extinction of a crystal can let you work out what mineral you’re looking at, and the relationships between mineral grains offer clues to the rock’s history. 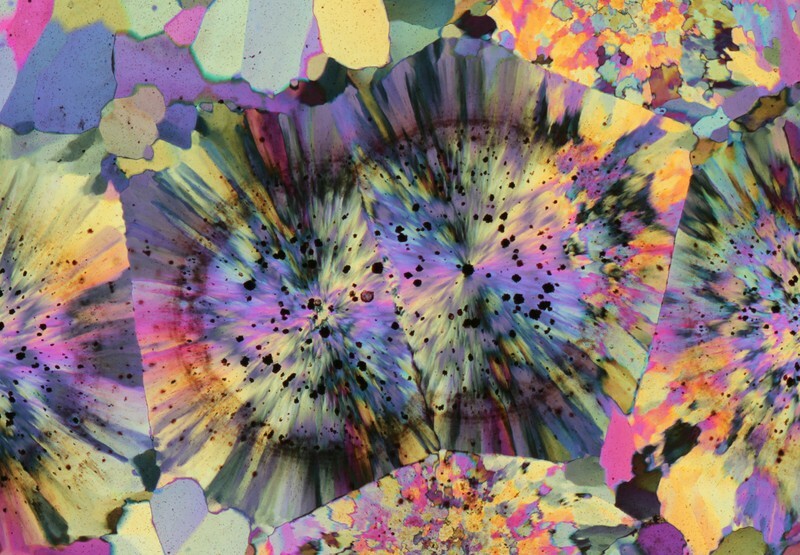 This image, by Laura Gargiulo, shows the surface of a sandy soil under cross polarised light. 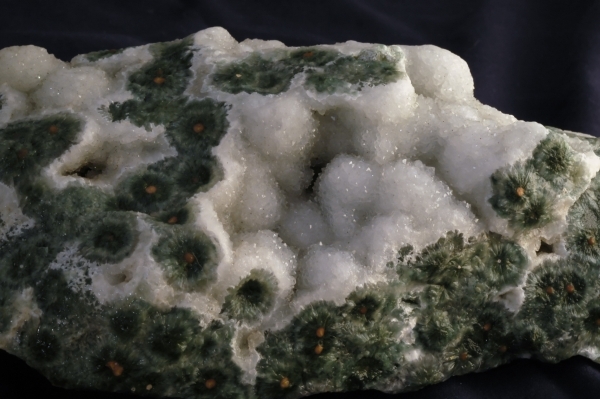 Sand grains – a veritable pick a mix of rock fragments and merged minerals – make up the majority and a slice of cellular plant material sits just south of the centre. Each of the colours and the way they change under polarised light reveal what each sand grain is made of and how these tiny fragments combine to make up the soil. While its purpose may be a scientific one, the image certainly has aesthetic appeal. If you are pre-registered for the 2014 General Assembly (Vienna, 27 April – 2 May), you can take part in our annual photo competition! Up until 1 March, every participant pre-registered for the General Assembly can submit up three original photos and one moving image related to the Earth, planetary, and space sciences in competition for free registration to next year’s General Assembly! These can include fantastic field photos, a stunning shot of your favourite thin section, what you’ve captured out on holiday or under the electron microscope – if it’s geoscientific, it fits the bill. Find out more about how to take part at http://imaggeo.egu.eu/photo-contest/information/.